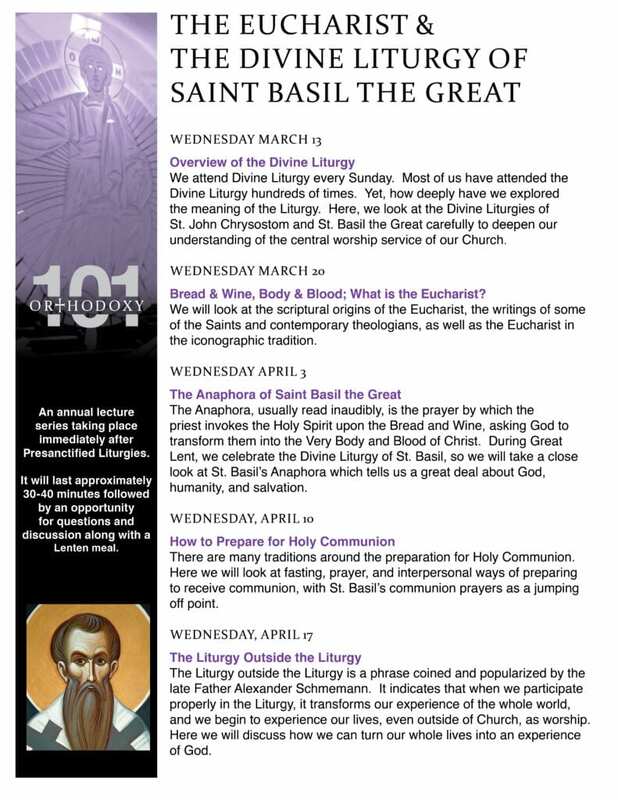 Join us each Wednesday in Lent for Pre-Sanctified Liturgy and Orthodoxy 101. Following the beautiful service of the Pre-Sanctified Gifts, we enjoy a home cooked Lenten Meal and have a structured discussion on some aspect of our Faith. This year’s theme is the Eucharist and the Divine Liturgy, with an emphasis on the Liturgy of St. Basil the Great.